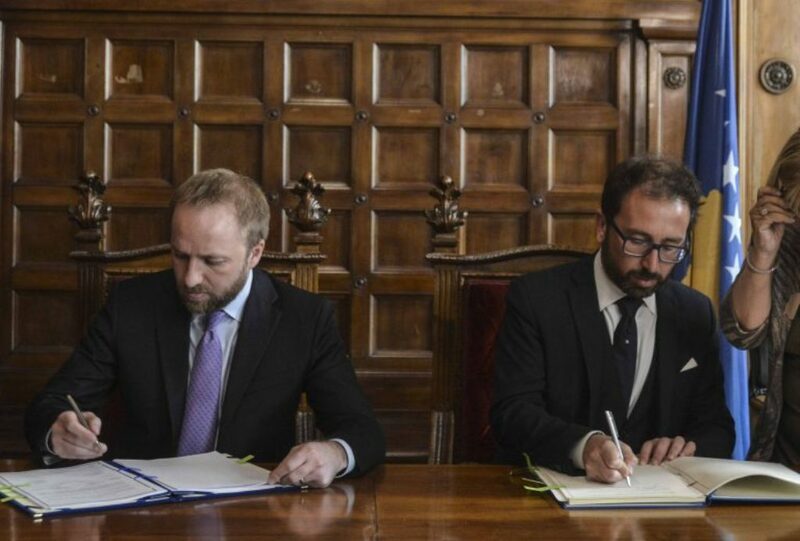 Kosovo’s Justice Minister, Abelard Tahiri and his Italian counterpart, Alfonso Bonafede signed today in Rome the Treaty for the Extradition of Convicted Persons between Republic of Kosovo and Republic of Italy. Minister Tahiri said that the agreement that was signed today further strengthens cooperation between the two countries. During this meeting, minister Tahiri has briefed his Italian counterpart on the reforms that Kosovo has launched in areas such as rule of law, fight against corruption and organized crime and the prevention of terrorism.